I have listened to Dave Ramsey a lot of the years – in fact he is the one who taught me How to eliminate debt fast. I did this by applying a technique he called the “Snowball Effect” to get myself debt free. It works amazingly well! 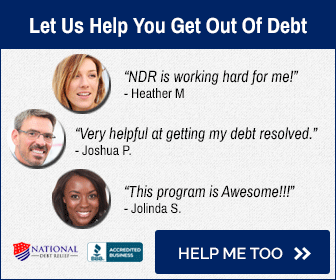 In my opinion it is the best way to get out of debt. Read the article and take action now! Once you become debt free, stay that way. Even without a boost in income it feels so good! I swear it’s the best feeling in the world! Commonsense would make it seem like you would want to pay off the highest interest balance first. But just like I describe in my guide to get out of debt the snowball approach is much faster. While using the “avalanche” method might save you a little more money it will take you longer to eliminate the debt. Here are two reasons why the snowball is the best way to eliminate debt as fast as possible. Gives you little victories which are super important to keep paying down the debt, when you see results, as in a loan fully repaid you will start to feel more and more energized! The snowball works magic by gaining momentum – the faster you can build it the faster it will wipe away your debt leash. Just like the order of operations in math there is a strict formula to make this work: Lowest Balance (Same balance+interest rate) wherein you pay the lowest balance first unless there is another loan of the same amount with a higher interest rate on it. Take action now! You will be shocked at how fast this will kill your debt!